Method 1 (didn't work for me in Qt Creator 4): This answer by Gerstmann on StackOveflow suggests registering *.qss files as text/css. 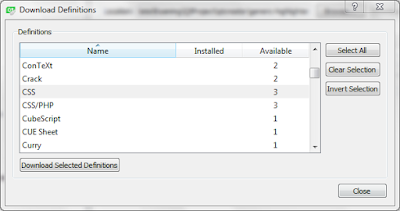 In Qt Creator, from Tools menu, choose Options. 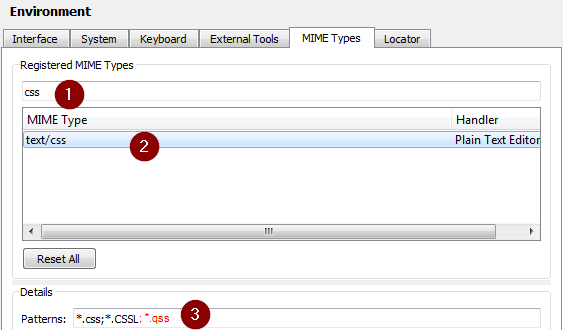 In the left pane select Environment and choose MIME Types tab. Search for css and add *.qss to file extensions. Add QSS to text/css MIME type. Method 2 is a bit more elaborate. 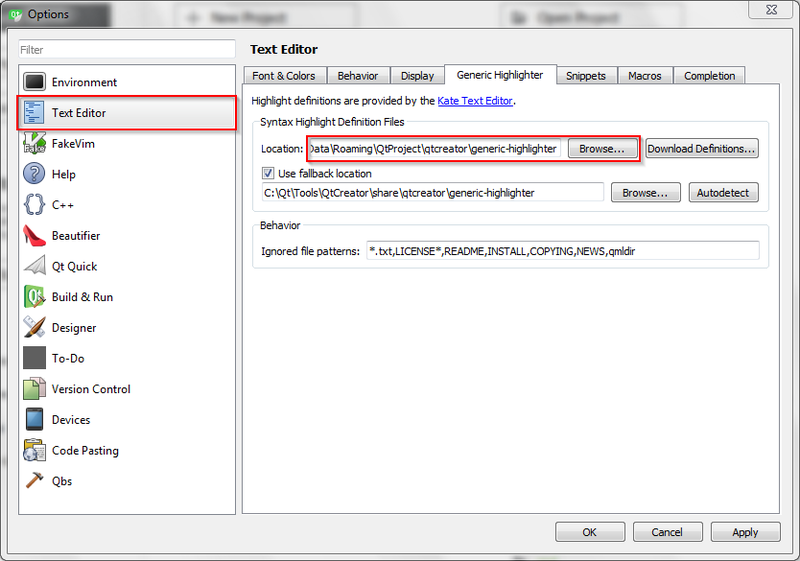 It requires you to download CSS syntax highlight file and modify it for QSS. It works on Qt Creator 4. Go to Tools, Options. Select Text Editor and Generic Highlighter tab. 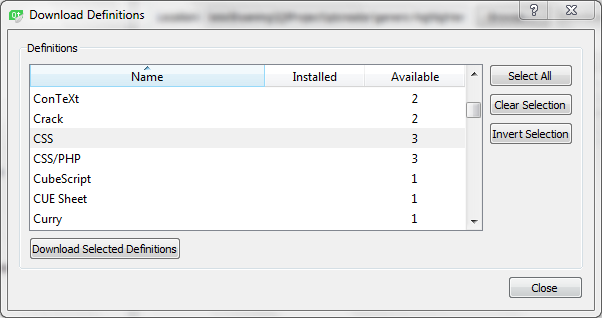 Click Download Definitions button, select CSS (yes, CSS) in that list and click Download Selected Definitions. Among other files, you should find there a file named css.xml. Make a copy of it and name it qss.xml. Open qss.xml with any text editor and replace all occurrences of css with qss. Start Qt Creator, open a QSS file and see the result. You can improve qss.xml file. For example, QPushButton elements may use pressed pseudoclass. But this is not declared in XML file. Find <list name="pseudoclasses"> in the syntax highlight file and add a new item: <item> pressed </item>. 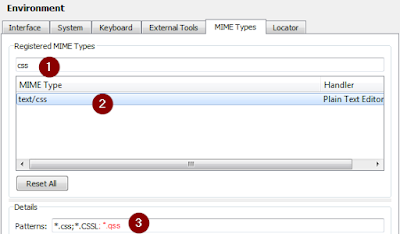 You can add <item> selected </item> too for QListView::item. That's it. 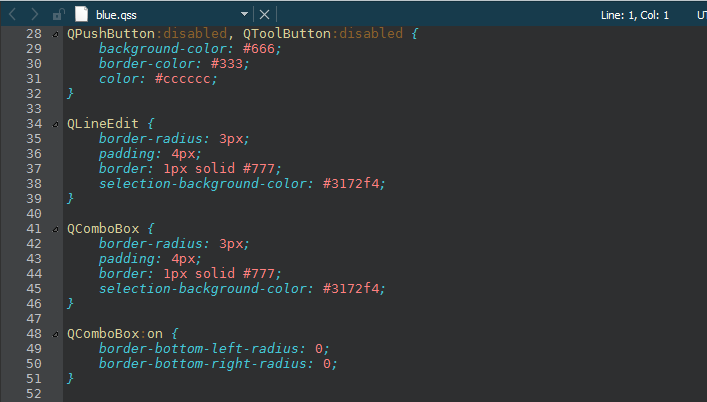 Qt Creator will handle syntax highlighting for CSS and QSS files differently and you can make other changes to qss.xml file.